The Church of Jesus Christ of Latter-day Saints (LDS) is one of the most well-known churches in the world. Its members and policies are in the news frequently. Usually, people think of LDS when they hear about Mormonism. However, there are a variety of interesting offshoots of the main church that are mostly unknown to the general public. From the founding of LDS in the 1830s until 1978, people of African descent were not permitted to be ordained as priests in the church. However, during that time, LDS missionaries were active across the world and had a small influence in Africa. Full missionary efforts did not begin until after the 1978 official declaration. Even though missionaries did not have a big presence in Africa, a few Africans acquired LDS books and set up autonomous branches without recognition from church headquarters in Salt Lake City. Nigeria became the first country with independent LDS branches when Anie D. Obot began setting up LDS congregations in his town. Obot wrote to Salt Lake City for more information, but visa restrictions made it impossible for missionaries to return to Nigeria. Without church leadership, Obot’s congregations deviated from standard church doctrine, including the ordination of African men to the priesthood and the practice of polygamy. In Ghana, a man named Joseph W.B. Johnson acquired a copy of the Book of Mormon and started his own congregation based on the teaching. Two years later, the LDS leadership lifted the priesthood ban. Johnson and most of his congregation joined the LDS church, but some members refused to join and maintained an independent congregation. When Mormon founder Joseph Smith died in 1844, his death sparked a succession crisis in the fledgling church. Nobody knew the proper process for finding the next leader. Eventually, Brigham Young took the helm and led church members to Utah to form the main LDS church. However, various groups splintered from the main church after Joseph Smith’s death. Lyman Wight led one of those splinter groups. In 1841, Wight had become a member of the Quorum of the Twelve Apostles (one of the main governing bodies of the LDS church) to replace a member killed by mob violence in Missouri. When Joseph Smith died, Wight claimed to have received orders from Smith to take the Saints to Texas. Most members did not believe Wight’s claim, so he left the body of the church, which was located in Nauvoo, Illinois, at that time, and took about 150 members with him. Wight and his followers erected Zodiac, a small settlement on the banks of the Pedernales River in Texas. Wight continued the practice of polygamy but became increasingly detached from reality due to substance abuse. He tried to gain more followers until Brigham Young finally excommunicated him in 1849. In 1851, the settlement moved due to tensions with the local community. A few years later, Wight died. 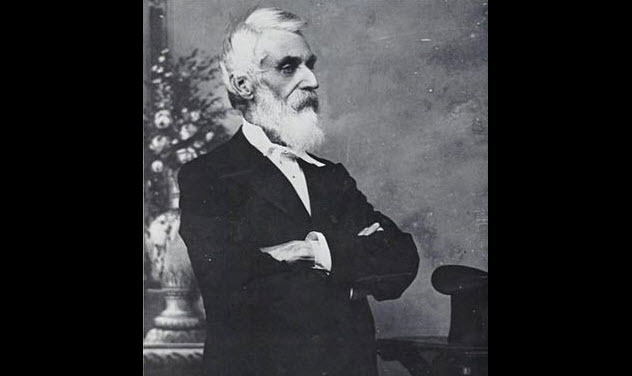 Near the end of his life, he believed that the office of prophet should stay in the Smith family, and most of his followers joined the Reorganized Church of Jesus Christ of Latter-day Saints (RLDS) under the leadership of Joseph Smith III. Once the Mormons settled in the Utah Territory, Brigham Young rapidly embarked on plans to create the Zion that church leaders had prophesied during Joseph Smith’s time. In these early days, the political and religious aspects of the territory were not clearly delineated. President Young maintained leadership in the church but was also key in determining the political and economic aspects of the territory. Although this worked for a while, some members of the church eventually became frustrated with Young’s political policies. The troubles began when William S. Godbe and other Mormon merchants began writing critical articles about Young’s policies in their publication, Utah Magazine. They were mainly concerned with Young’s policies about the railroad that was rapidly coming into the territory. Young attempted to deflate wages and barred trading with non-Mormons as a way to preserve home industries. Godbe and his followers initially criticized these policies but soon developed a spiritual dimension. 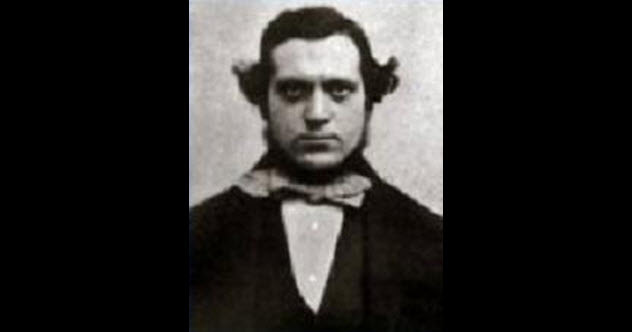 In 1868, Godbe consulted with a New York spiritual medium and adopted the new spiritualist ideas of communicating with the dead. On his return to the Utah Territory, Godbe organized his followers into a church that devalued the core Mormon teachings to offer a more open and encompassing religious framework. Godbe believed that this would be a positive change for Mormonism and would break Brigham Young’s political control over the territory. LDS leadership excommunicated all leaders of the Godbeite movement in 1869, and the movement slowly died out. Although the Godbeites did not last, Utah Magazine eventually became The Salt Lake Tribune. Godbeite ideas also formed the core of the Utah Liberal Party, which flourished in the territory before the national Democratic and Republican parties made inroads among the Mormons. The Joseph Smith succession crisis featured a variety of influential figures, but not every offshoot was directed by a charismatic leader. When the succession crisis ended with Brigham Young receiving the calling as prophet and moving the Saints west, some congregations stayed in the East. Five such branches stayed in Illinois and Indiana, each with only a few members. For years, they remained independent of each other until Granville Hedrick unified them. In 1867, these church members moved together to the Temple Lot in Independence, Missouri. During Joseph Smith’s time, the church had attempted to build a temple in Independence, but the Missouri persecutions had forced them to abandon their plans. Hedrick and his followers claimed the Temple Lot as their own, organizing as the Church of Christ. The Hedrickite church believed in the calling of the Prophet Joseph Smith but did not accept all of his teachings. Mainly, they believed that Smith was only called to translate the Book of Mormon and that any other doctrine he taught was faulty. As such, Hedrickite followers do not believe in having a prophet called to lead the church. Instead, they have a group of leaders. 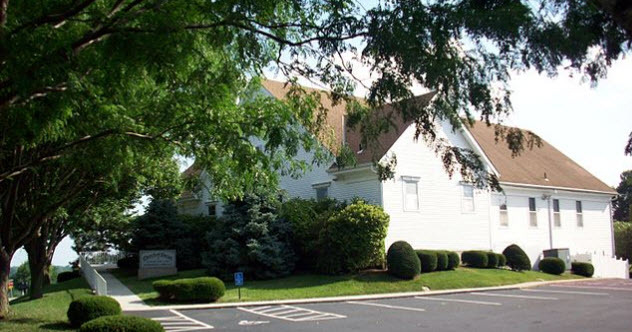 Unlike many of the Mormon sects on this list, the Hedrickite church still exists today with its headquarters in Independence, Missouri. Although they are not as well-known as the main LDS church, they have had their share of problems. The worst occurred in 1990 when a former member burned down an unoccupied Church of Christ building. The man claimed that it was a political protest to warn America of a coming war. Fortunately for the Church of Christ, their records remained intact, and they rebuilt the building. In the past few years, the LDS church has come under fire for its controversial attitudes and practices toward homosexuality. While current opinions about the church’s stance on homosexuality are mixed, there have been a few spin-offs during the church’s history because of the issue. One of the most interesting yet short-lived was the United Order Family of Christ. This branch of Mormonism accepted homosexual relationships and practiced a type of communal living from early church history. David-Edward Desmond founded his church in Denver, Colorado, in 1966. From the beginning, Desmond’s church only accepted homosexual men aged 18–30. As the self-proclaimed leader of the church, Desmond took the title “First Key” and decided to live by the LDS teaching of the United Order, a type of communal living. Church members shared everything and lived by strict laws about property ownership. Due to this strictness, Desmond made it clear that his church was not meant for most gay, Mormon men. In America, the United Order Family of Christ was the third gay Christian church. However, Desmond’s project was short-lived. Most historians agree that the church fell apart in either 1973 or 1974. As the group was relatively isolated from outside contact, it is difficult to find out the exact date. Desmond died in 1983, but his work influenced other small Mormon groups to form spin-off churches that accepted homosexuality. Mormon missionaries first went to Hawaii in 1850 and had some success among the natives. At that time, these missionaries served for long periods of time. A decade later, there were enough Mormons on the Hawaiian Islands that Brigham Young decided to set up a small colony there. 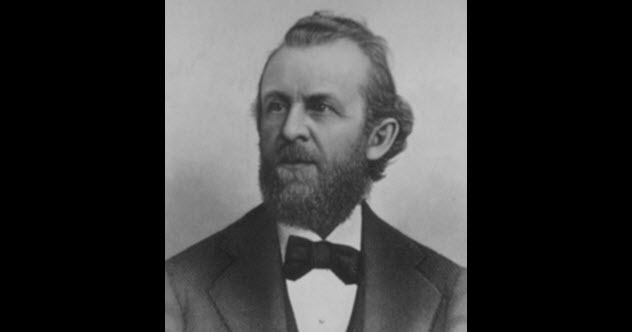 In 1859, he gave a young adventurer named Walter M. Gibson the assignment of traveling to Hawaii and setting up a Mormon colony. Two years later, Gibson arrived there. Trouble started almost immediately because he used church money to buy land in his own name. Soon, church leaders in Salt Lake City investigated what was going on in Hawaii and found that Gibson was teaching false doctrine, embezzling money, and selling church positions to native Hawaiians. Shocked by what Gibson was doing, Brigham Young promptly excommunicated him and gave up on the idea of a Hawaiian colony. But that did not stop Gibson. 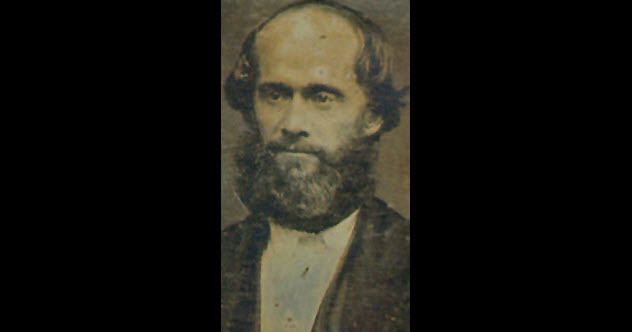 Although he was no longer affiliated with the church proper, Gibson continued to run a twisted version of the religion and gained political clout in Hawaii. Eventually, he joined the Hawaii House of Representatives and held a variety of cabinet positions in the government while neglecting his sect of Mormonism. Gibson had strong influence on King Kalakaua, convincing him to make foolish political moves. With Gibson’s help, the king’s politics led to the 1887 Constitution of Hawaii, which stripped the monarchy of its power and began Hawaii’s journey toward becoming part of the United States. 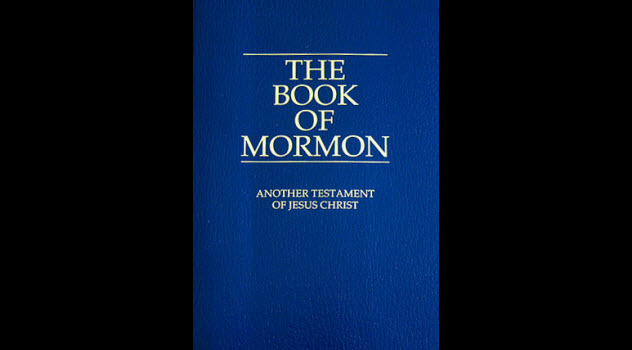 With Mormon theology centered around the second coming of Jesus Christ, the church has dealt with a variety of people declaring that they are that second coming or making other messianic claims. One of those people was Arnold Potter, an early convert to the church who experienced most of its early history. In 1848, he settled in Utah with his wife. 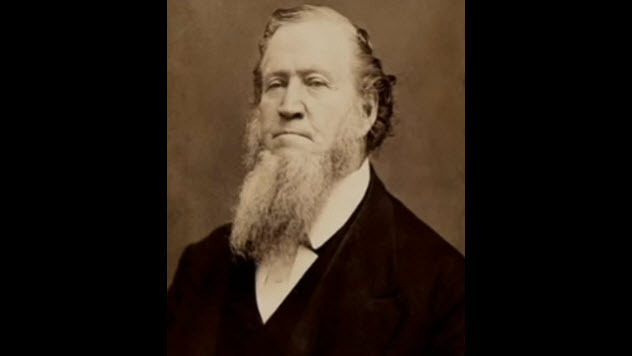 Eight years later, Brigham Young called Potter to serve on a mission to Australia. He promptly embarked on his journey. At some point, he began to claim that the spirit of Christ was inside him and called himself “Potter Christ, Son of the Living God.” He tattooed an elaborate design on his forehead as a symbol of his messianic call and published a book of revelations about the end of the world. Potter gained a small following, departing with his group to Independence, Missouri, the traditional place of Zion in Mormon theology. Eventually, they settled in Council Bluffs, Iowa. As Potter’s persona became more bizarre, he wandered the streets of Council Bluffs in a long, white robe. He organized prayer meetings and published new revelations. The men who followed him wore black robes, and the women rejected any grooming practices. In 1872, Potter announced that the time had come for him to ascend into heaven. He rode a donkey to a cliff near Council Bluffs and jumped off into the valley below, falling to his death. Potter Christ followers recovered his body, but his church fell apart. Arnold Potter remains a curiosity in the history of the Mormon movement. 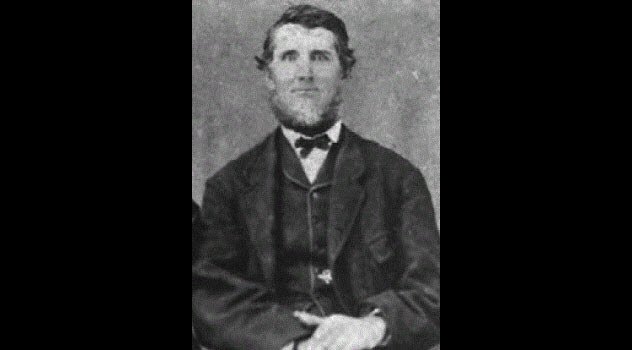 In 1857, Joseph Morris started another Mormon sect that would ultimately end in bloodshed. A convert from England, he claimed to have received revelations that he included in a book called The Spirit Prevails. In his book, Morris also stated that he was called as the seventh angel of the apocalypse as found in the Book of Revelation. He outlined the tenets by which church members should live, including the 10 steps to achieving Godhood, reincarnation doctrine, and the declaration of Brigham Young as a fallen leader. Within a few years, Morris and his 200 disciples moved away from Salt Lake City and were subsequently excommunicated from the church. At first, Morris and his followers lived a quiet life in the Utah wilderness, but problems ensued when members became dissatisfied with him. When three men tried to leave the community, two of them were captured and detained. The third man, Louis C. Gurton, informed Deputy US Marshal Judson Stoddard of the situation. Stoddard obtained a writ of habeas corpus and prepared to attack the Morrisite settlement to free the prisoners. Eventually, Stoddard mustered a fighting force of 1,000 men with rifles and artillery. When Morris became aware of the approaching army, he assured his followers that they should not be afraid because the coming of Jesus Christ was near. For three days, the militia shelled the Morrisite settlement. Then some members of the militia stormed the encampment on foot. Details of the skirmish are contradictory, but in the end, eight Morrisites—including Joseph Morris—were dead. The sect broke up, and the engagement became known in Utah history as the Morrisite War. James Strang is one of the most interesting figures in the history of Mormon offshoots. His popularity began during the LDS succession crisis when he claimed that Joseph Smith had given him special instructions to lead the Saints to safety. Strang bolstered his claim when he supposedly found a set of plates that contained the record of an ancient Native American settlement. As this story closely paralleled Smith’s discovery of the Book of Mormon, Strang attracted a following of converts who left Nauvoo with him. His group settled on Beaver Island in Lake Michigan. Although popular myth states that Strang made himself a king over the island, his discussion of monarchy was more spiritual than secular. However, he had a variety of odd beliefs. First, his church published a revision of the Ten Commandments, replacing the fourth commandment (to keep the Sabbath holy) with “Love thy neighbor as thyself” and greatly expanding on the meaning of the rest. Strang believed that he was restoring the full truth of the Decalogue. He also instituted animal sacrifice in his church. Although these sacrifices were like those in the Old Testament, they were not done for the remission of sins because that would contradict the teachings in the Book of Mormon. Instead, Strang used sacrifices as part of religious festivals. Heads of households were required to sacrifice the firstborn of their flocks, which members saw as a restoration of past ordinances. For a while, the church was stable until a feud ended with Strang’s murder. With their leader dead, most members of the church joined the RLDS. However, like the main LDS church, Strang’s death spawned a variety of offshoots with different men claiming to be his successor. Today, Strangite groups are divided into two main camps. One group states that they have authority given to them by God to act as Strang’s successor. The other group believes that God’s truth is no longer on the Earth. They believe that after Strang was murdered, God closed this era of revelation due to the wickedness of the Gentiles. The Mormon Transhumanist movement is not a separate church. Instead, it is a subculture within the main LDS church that attempts to combine Mormon theology with futurism and scientific knowledge. Mormon Transhumanism is part of the wider Humanity+ society. Humanity+ is interested in using technology to improve human life and eventually create posthuman civilizations. By using genetic experimentation, body augmentation, and other technological advances, transhumanists attempt to boost humanity to a higher level of existence. One of the more controversial aspects of Mormon theology is the idea of becoming like God. Mormon Transhumanists believe that this is not only a spiritual journey but also a technological and scientific journey. They believe that their anthropomorphic God is a divine being because of the application of scientific laws and the modification of his body using technology. As a result, Mormon Transhumanists support all technological advancements because this technology will allow man to become like God. As advocated by church leader James Talmage in the early 20th century, the idea that God works by natural law is common in Mormonism. However, Mormon Transhumanists believe that God’s ability to manipulate natural law is due to advanced technology. They also believe that the technology is within our grasp. This does not mean that a Mormon Transhumanist rejects the spiritual aspects of Mormonism. Instead, they believe that the teachings are an ethical code to make people responsible and moral enough to use the tremendous power of godlike technology for good. With only 600 members, Mormon Transhumanists are still a small subculture in Mormonism. However, they have increased their presence over the past few years by holding conferences and posting their lectures to YouTube and their website. Through their work, Mormon Transhumanists hope that church members will have a more optimistic and healthy view of science and actively work to support scientific advances that will one day help them become God. Zachery Brasier is a physics student and practicing Mormon who is interested in church history and loves to write about it.